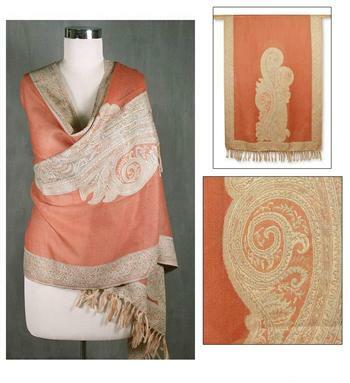 Luxurious paisley appears on a shawl of deep, rich peach with a floral border and hand-tied fringe. 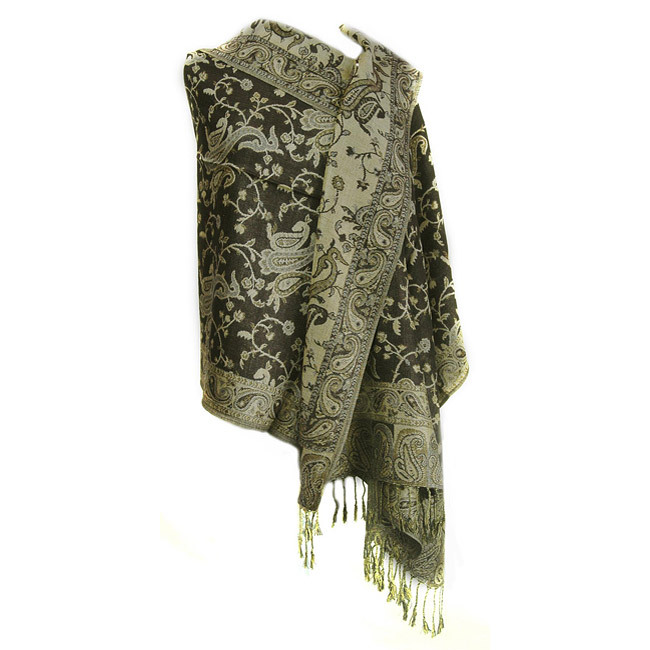 From Sandeep Malhotra, the shawl is woven on a loom, re-creating the intricate jamawar patterns that once were created with laborious needlework. 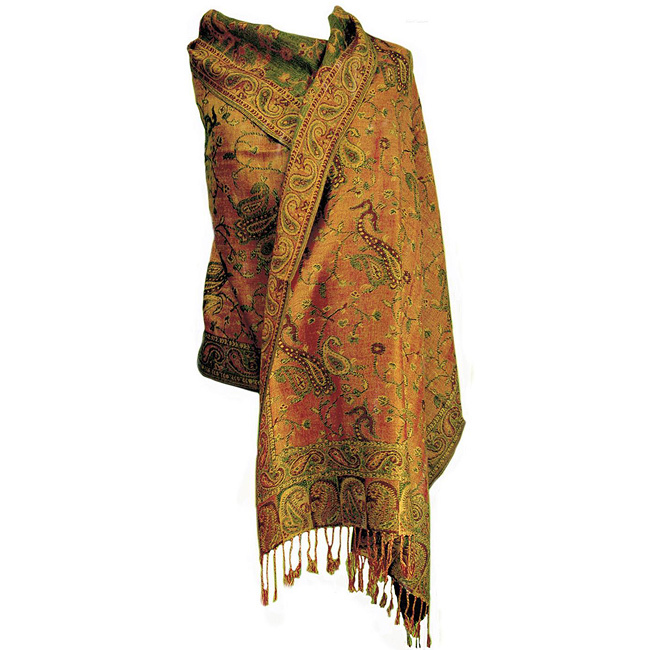 Features: 100-percent wool paisley print, woven by hand, dimensions: 80 inches long x 28 inches wide, dry clean only. Note: Color variations may occur between this product and your computer screen settings.